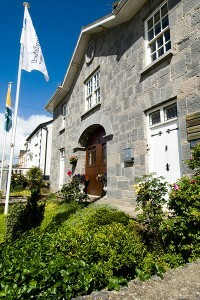 Churchtown village is located just 4km west of the N20, half way between Cork and Limerick. 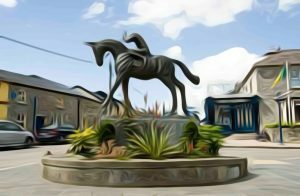 There is an excellent two-hour train service from Dublin to Charleville or Mallow where you will find taxi services available to transfer you to the village. Cork International Airport is an hour by car from Churchtown and Shannon International Airport is 90 minutes. 2/3km from Ballyhea look out for a large sign on the left saying Churchtown and shortly after this turn to the RIGHT for Churchtown which is about 4km west of the N20. This is consistently the fastest way – with motorways all the way from Newlands Cross in Dublin via M8 to Mitchelstown – to drive to Churchtown from Dublin. The roads are excellent except for the last 30 minutes where roads are narrow and the turn offs are marginally complicated. Take the N/M7 from Dublin to just south of Portlaoise and then veer left after the Toll Booth on the M7 to take the M8 south towards Cork. At Junction 12 near Mitchelstown take the N73 towards Mallow. After you leave the M8 you will find yourself on the N8 for 4 km and you will go through two roundabouts – at the second roundabout take the N73 towards Mallow. About 6km west of Killdorrery take the R522 to the right towards Buttevant. Two km from that R522 turn off take a right hand just after the semi-derelict farm building also on the right. [If you miss this turn you will stay on R522 and go to Churchtown via Buttevant]. Drive for 3.4km to Brough Cross. Take care and drive across this 4 way junction and drive another 7.9km until you reach the N20 T junction at Lisballyhea. Take right on N20 and about 0.6km on N20 on left hand side drive over railway crossing and Churchtown is 3.5km from here. 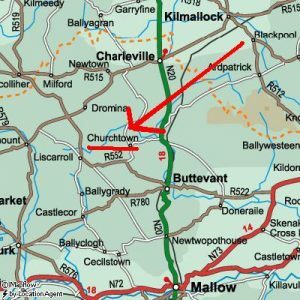 – 35 minutes Mitchelstown to Churchtown on N73 / R522 / N20 / minor road to village. or 2 hours 40 minutes. Pull off at Horse & Jockey Hotel on the M8 at Junction 6 for refreshments. Click here for further details http://www.horseandjockeyhotel.com. If you are coming from Cork you stay on the N20 and about 3 miles north of Buttevant you will see signs for Churchtown pointing left at Shininagh railway gates. In Buttevant you also have the option of taking the “coast road” by turning left on to Route 522 at the northern end of the town. Watch carefully for a (dangerous) turn off – more of a veer off really – to the right at Buffers Cross about 3 miles north west of Buttevant. 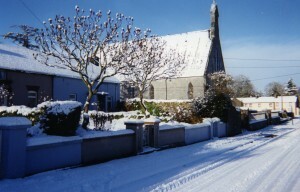 The village is less than a mile from Buffers Cross. February 2011: Really good news. The National Road Authority agreed with a Buttevant based committee that Buttevant and surrounding areas would be served by slip roads on and off the new M20 just north of Buttevant. This will make a huge difference to Churchtown in the future. For those coming in by air (!) Churchtown is located at Latitude 52.27145 North of the Equator and Longitude 8.73125 West of Greenwich and we suggest you get permission from the Gaels GAA to land your helicopter on their playing field beside the village!